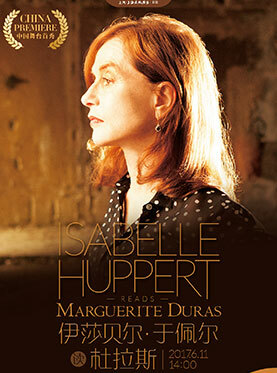 How I Met The Master - Isabelle Huppert Reads Marguerite Duras in Shanghai will be held at Shanghai Culture Square on Jun.11, 2017. Isabelle Anne Madeleine Huppert is a French actress who has appeared in more than 100 films and television productions since her debut in 1971. She is the most nominated actress for the César Award, with 16 nominations. She twice won the César Award for Best Actress, for La Cérémonie (1995) and for Elle (2016). Huppert was made Chevalier of the Ordre national du Mérite in 1994 and was promoted to Officier in 2005. She was made a Chevalier of the Legion of Honour in 1999 and was promoted to Officer in 2009. Huppert's first César nomination was for the 1975 film Aloïse. In 1978, she won the BAFTA Award for Most Promising Newcomer for The Lacemaker. She went on to win Best Actress at the Cannes Film Festival for Violette Nozière (1978) and The Piano Teacher (2001), as well as the Volpi Cup for Best Actress at the Venice Film Festival for Story of Women (1988) and La Cérémonie. Her other films in France include Loulou (1980), La Séparation (1994), 8 Women (2002), Gabrielle (2005), Amour (2012), and Things to Come (2016). Among international film's most prolific actresses, Huppert has worked in Italy, Russia, Central Europe, and on the Asian continent. Her English-language films include: Heaven's Gate (1980), I Heart Huckabees (2004), The Disappearance of Eleanor Rigby (2013), and Louder Than Bombs (2015). In 2016, Huppert garnered international acclaim for her work in Elle, for which she won a Golden Globe Award, an Independent Spirit Award and a nomination for the Academy Award for Best Actress. She also won Best Actress awards from the National Society of Film Critics, New York Film Critics Circle and the Los Angeles Film Critics Association, for both Elle and Things to Come. Marguerite Donnadieu, known as Marguerite Duras was a French novelist, playwright, scriptwriter, essayist and experimental filmmaker. She is best known for writing the 1959 film Hiroshima mon amour, which earned her a nomination for Best Original Screenplay at the Academy Awards. Duras was the author of many novels, plays, films, interviews, essays and short fiction, including her best-selling, highly fictionalized autobiographical work L'Amant (1984), translated into English as The Lover, which describes her youthful affair with a Chinese man. This text won the Goncourt prize in 1984. The story of her adolescence also appears in three other forms: The Sea Wall, Eden Cinema and The North China Lover. A film version of The Lover, produced by Claude Berri and directed by Jean-Jacques Annaud, was released to great success in 1992. The Sea Wall was first adapted into the 1958 film This Angry Age by René Clément, and again in 2008 by Cambodian director Rithy Panh as The Sea Wall. 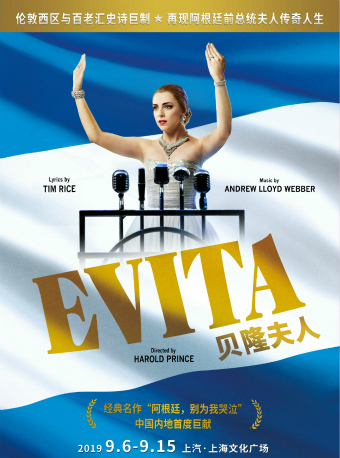 Other major works include Moderato Cantabile, also made into a film of the same name, Le Ravissement de Lol V. Stein, and her play India Song, which Duras herself later directed as a film, also titled India Song (1975). She was also the screenwriter of the 1959 French film Hiroshima mon amour, which was directed by Alain Resnais. Duras's early novels were fairly conventional in form (their 'romanticism' was criticised by fellow writer Raymond Queneau); however, with Moderato Cantabile she became more experimental, paring down her texts to give ever-increasing importance to what was not said. She was associated with the Nouveau roman French literary movement, although she did not belong definitively to any group. Many of her works, such as Le Ravissement de Lol V. Stein (1964) and L'Homme assis dans le couloir (1980) deal with human sexuality. Her films are also experimental in form; most eschew synchronized sound, using voice over to allude to, rather than tell, a story; spoken text is juxtaposed with images whose relation to what is said may be more-or-less indirect. Despite her success as a writer, Duras's adult life was also marked by personal challenges, including a recurring struggle with alcoholism. Duras died of throat cancer in Paris, aged 81. Her funeral, held in the packed church of Saint-Germain-des-Pres, was highlighted with several musical recordings including a piano version of India Song. She is buried in the Cimetière du Montparnasse. She was noted for her command of dialogue. In 1983 she was awarded the Grand Prix du Théâtre de l’Académie Française.